Access our building from 10th Street Pier. 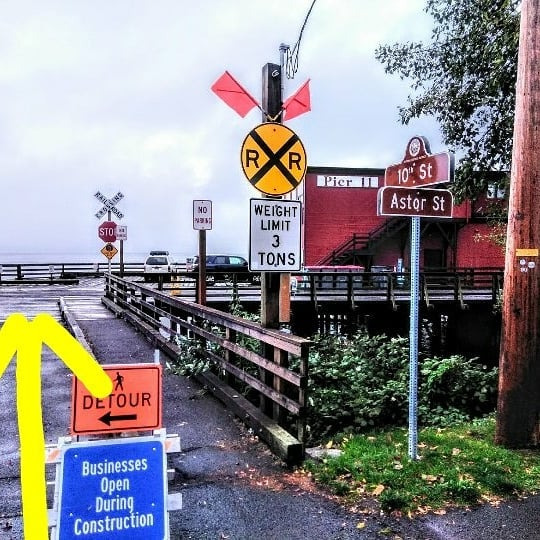 Past the confusing construction signs over the trolley tracks…. The Double Door Entrance from 10th Street Pier. We’re up the stairs and to the right. 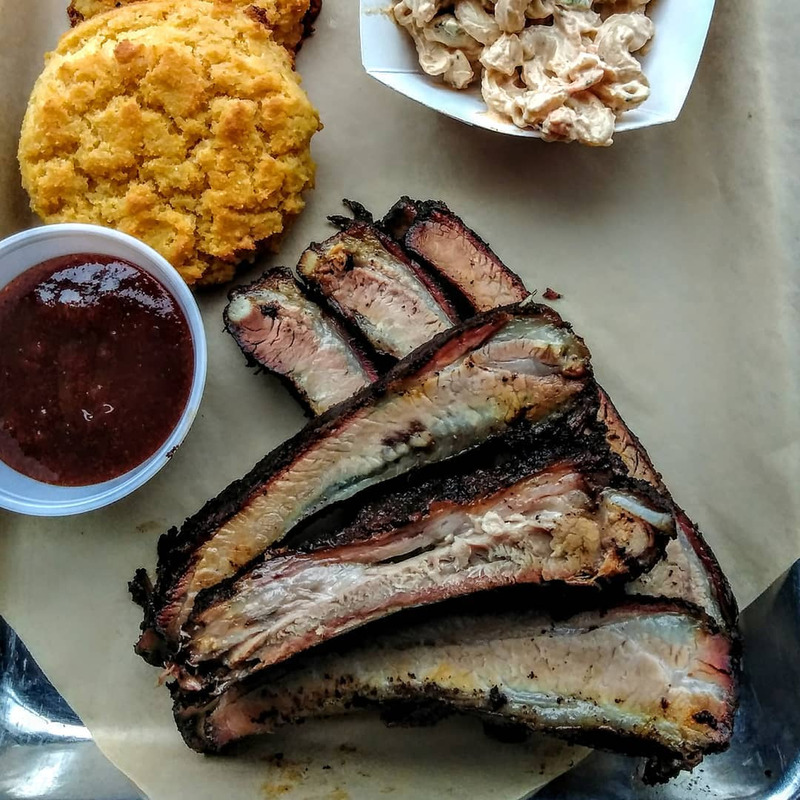 we smoke our meat using locally sourced Filbert, Maple, Alder, and Cherry. Half Rack with Chipotle Southwest sauce and mac salad to go to the beach! right outside our door. good thing we do togo orders! This chair is mom's chair... our two favorite places to eat at when i visit her in asheville, nc. thank you mom! We re-upholstered our chairs with old t-shirts, this batch is from two boxes mom sent from North Carolina. Feel free to bring in yours and we will hang it on the wall for when the chairs are covered in bbq sauce! finished the chairs!!! bring more shirts! !